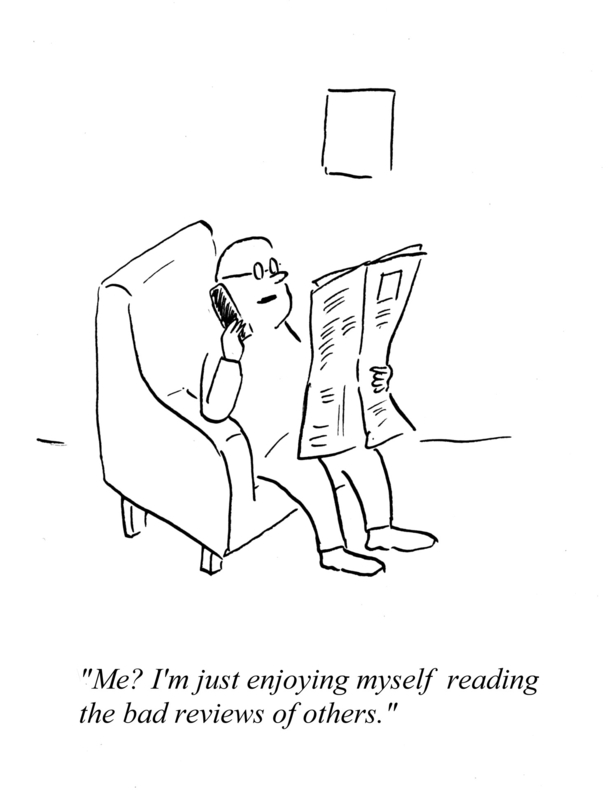 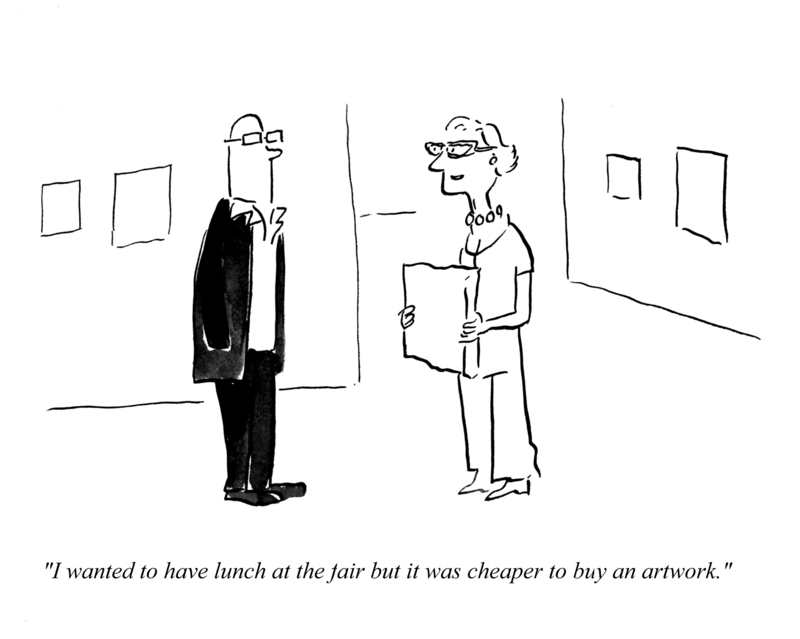 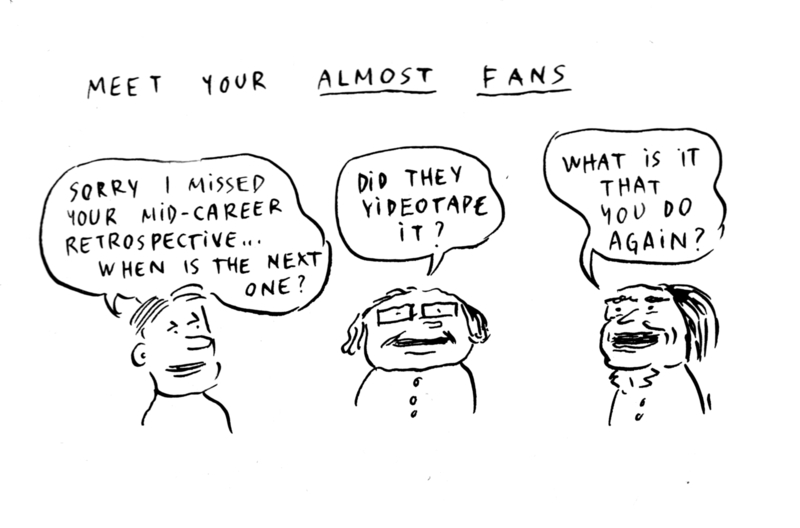 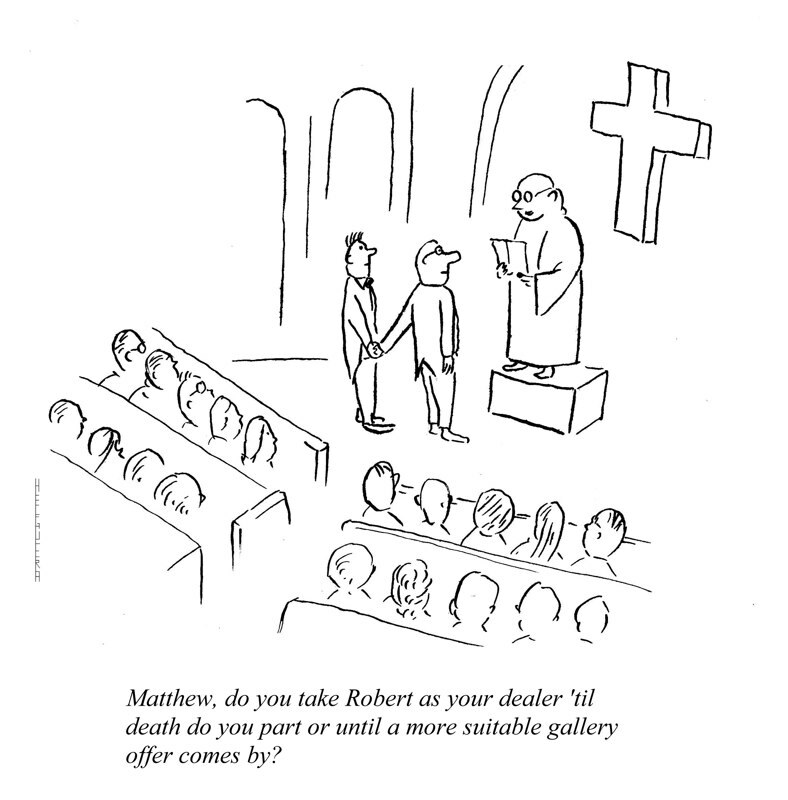 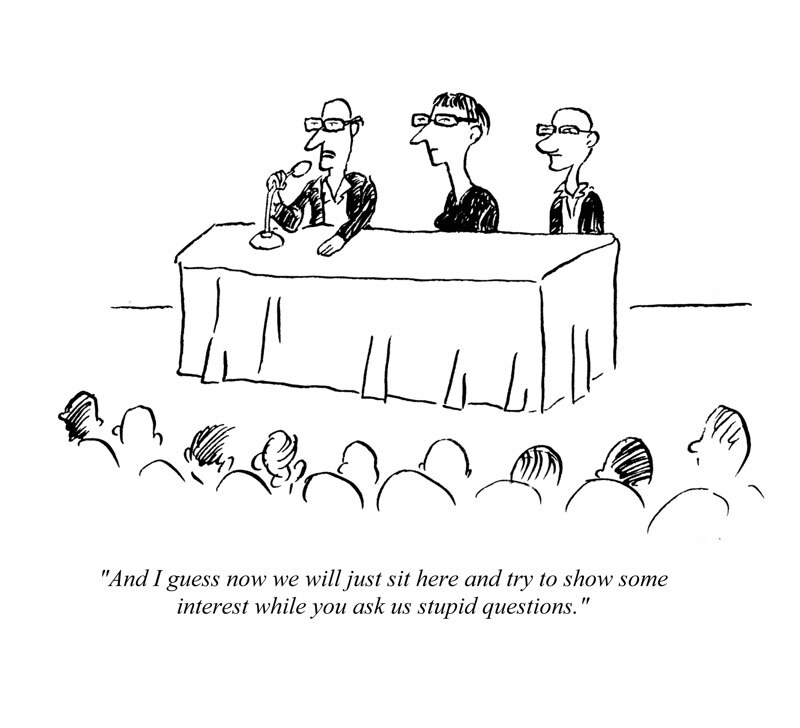 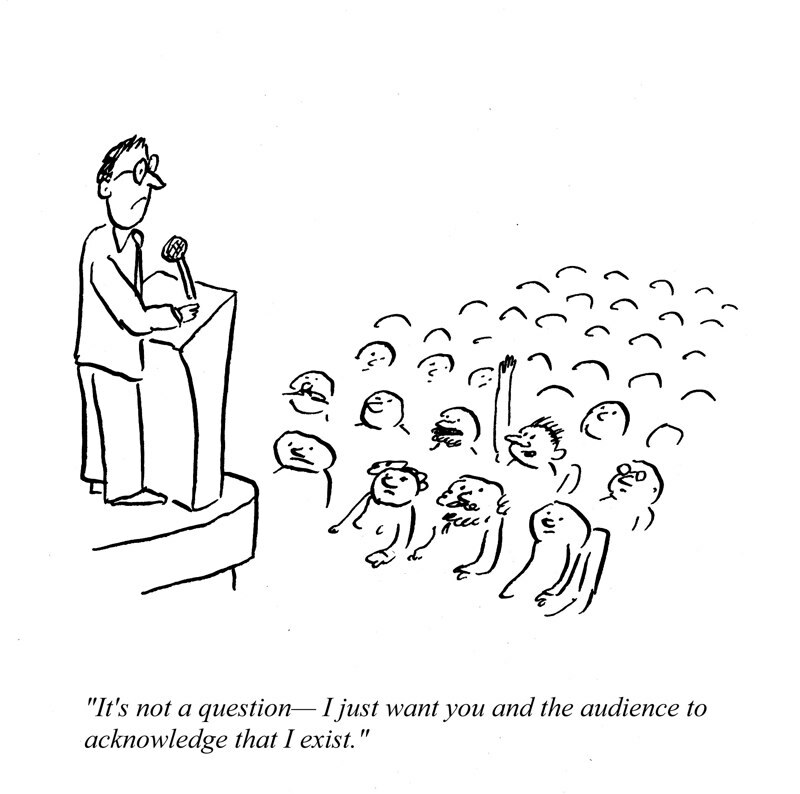 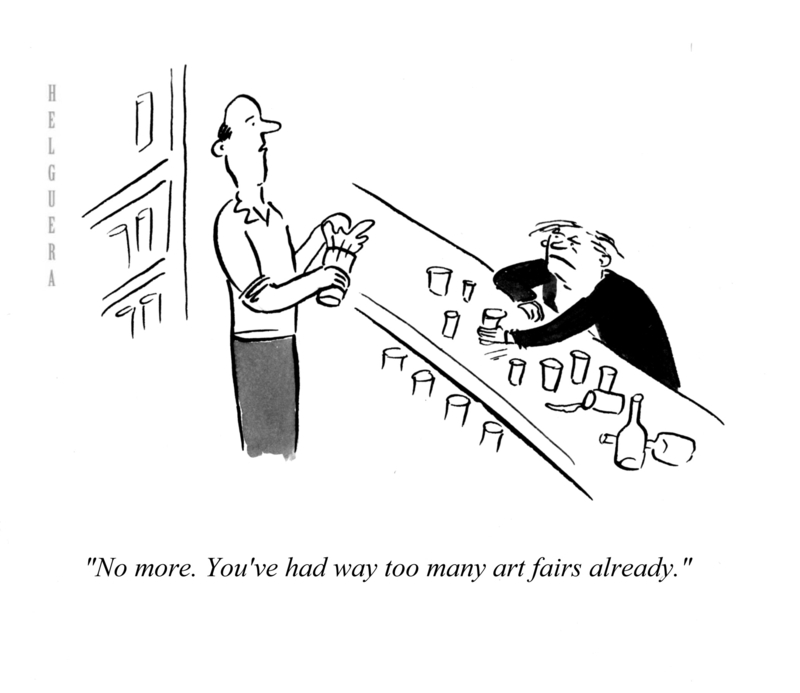 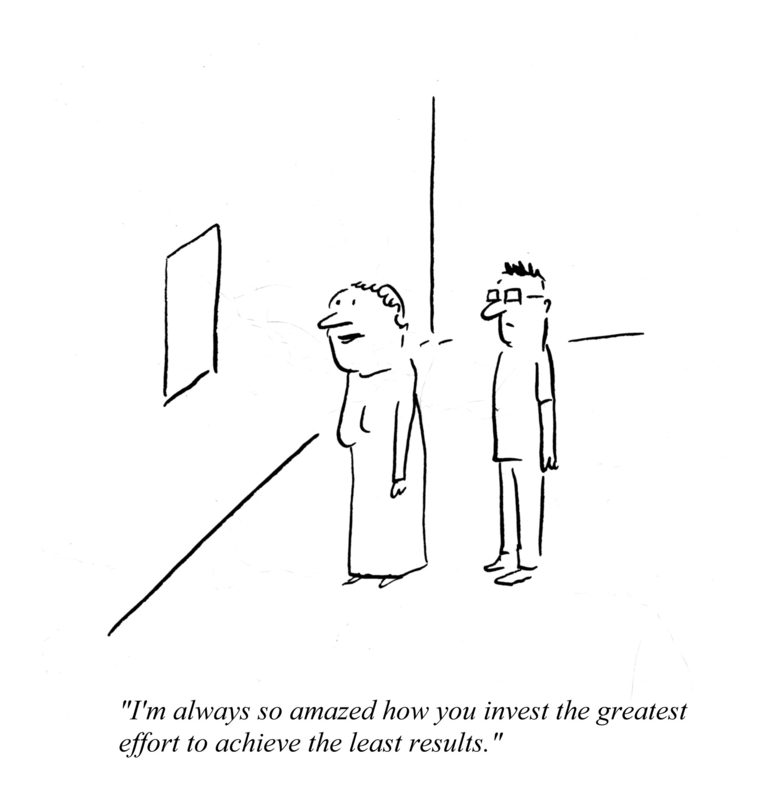 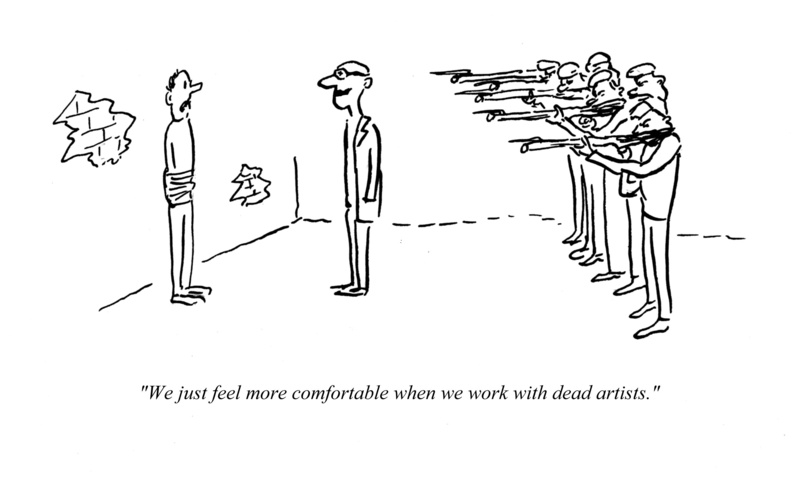 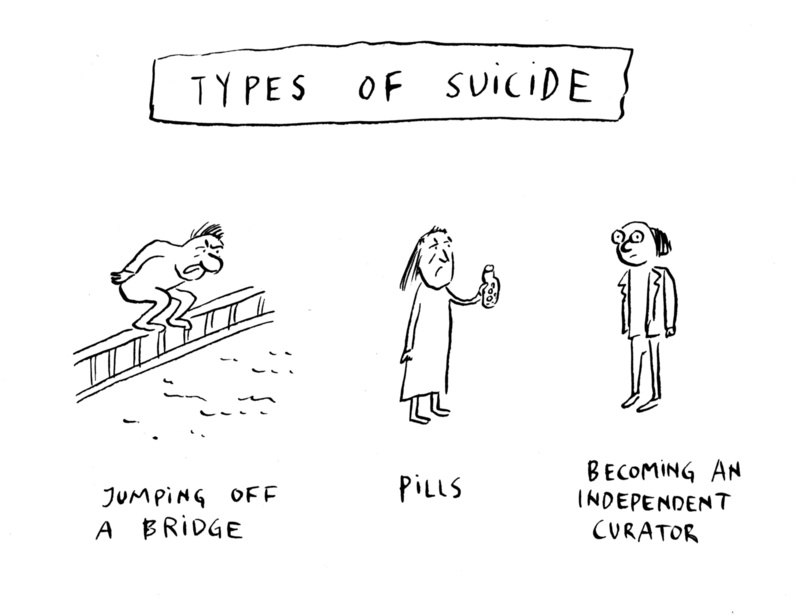 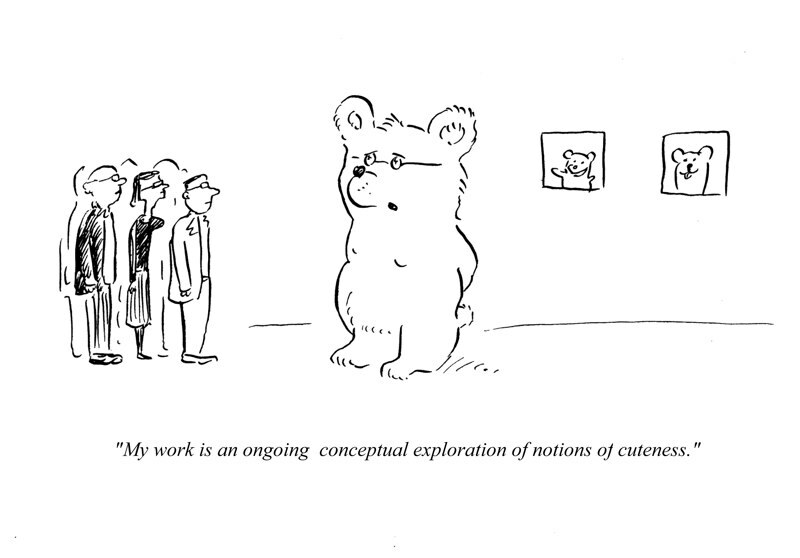 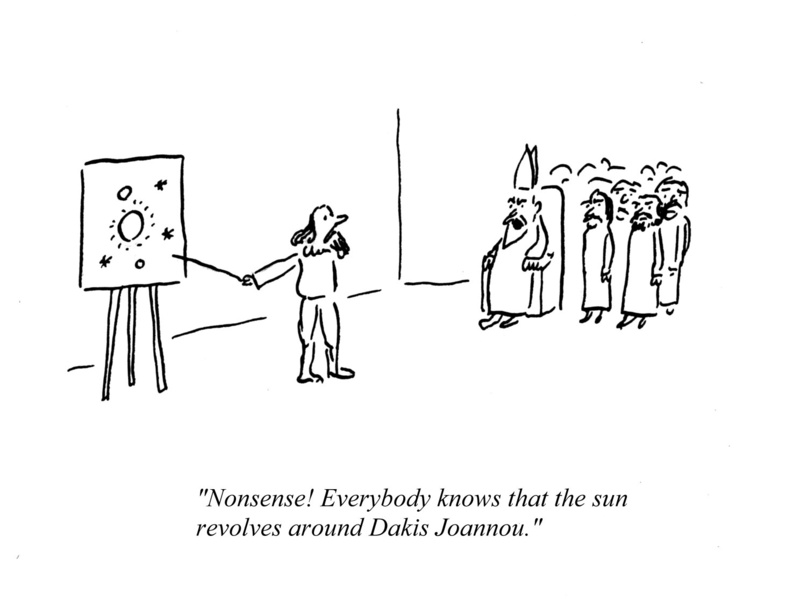 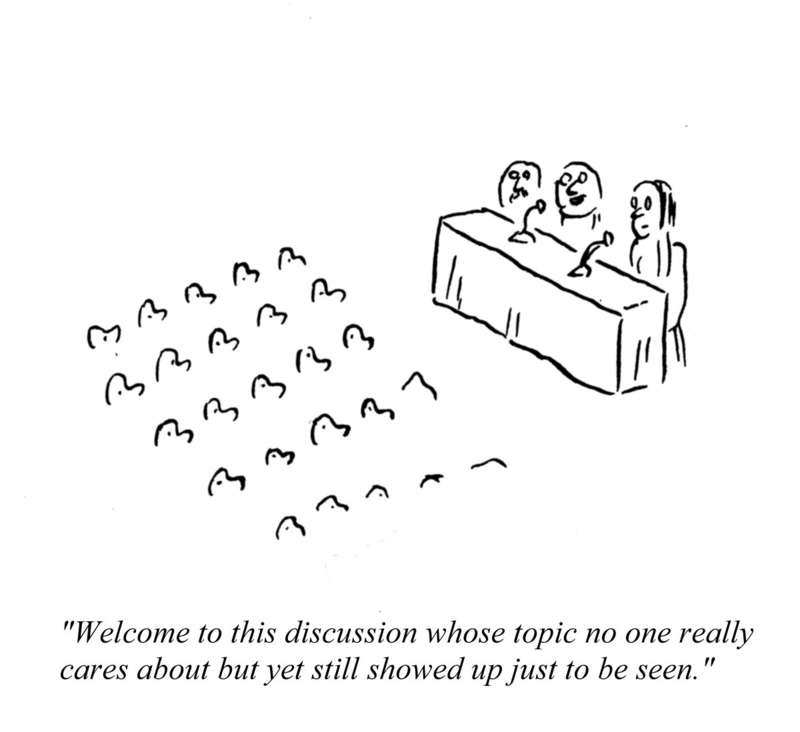 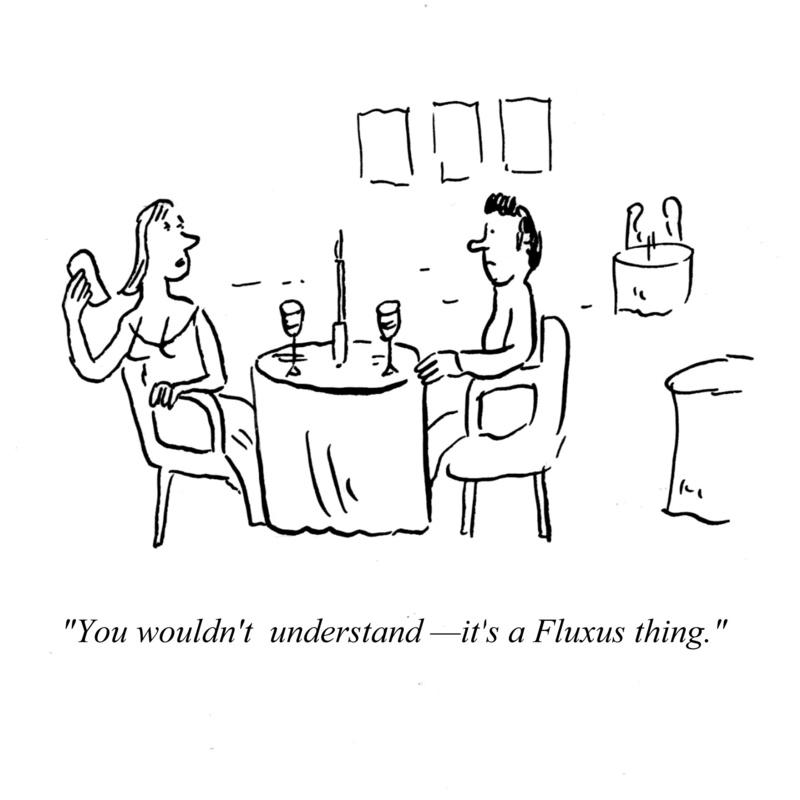 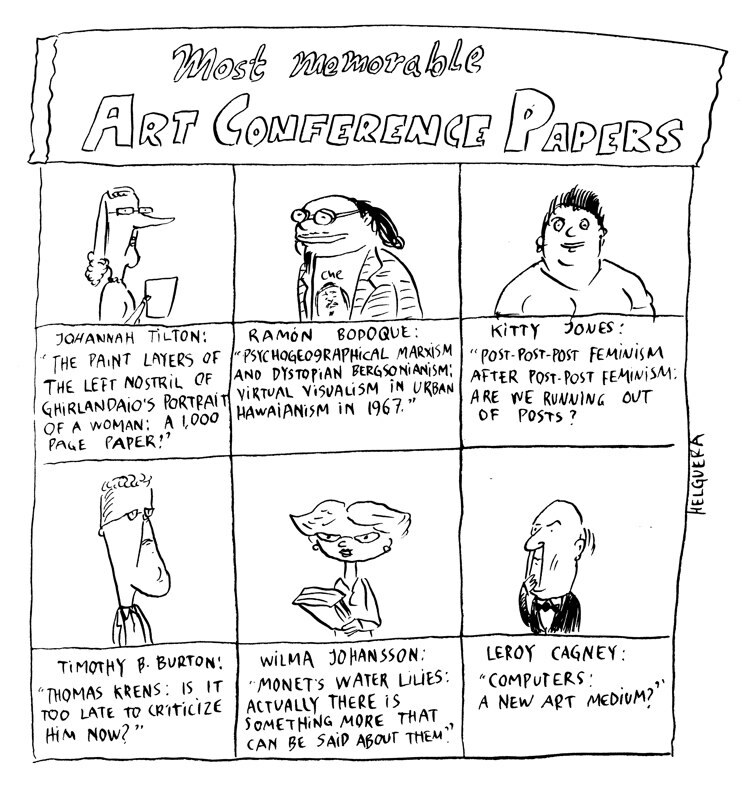 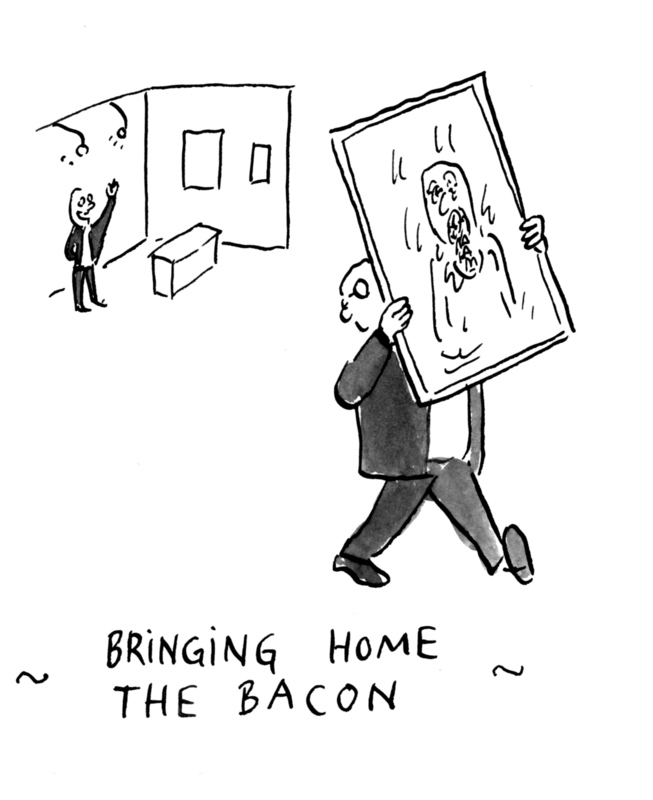 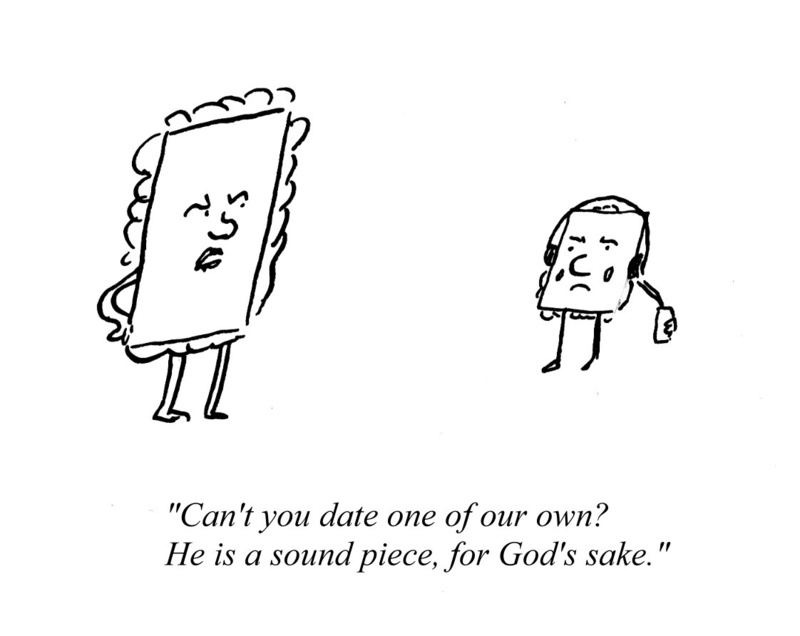 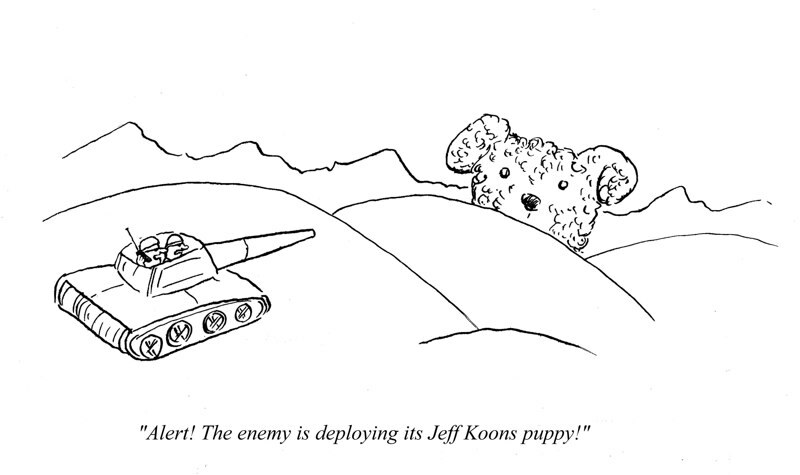 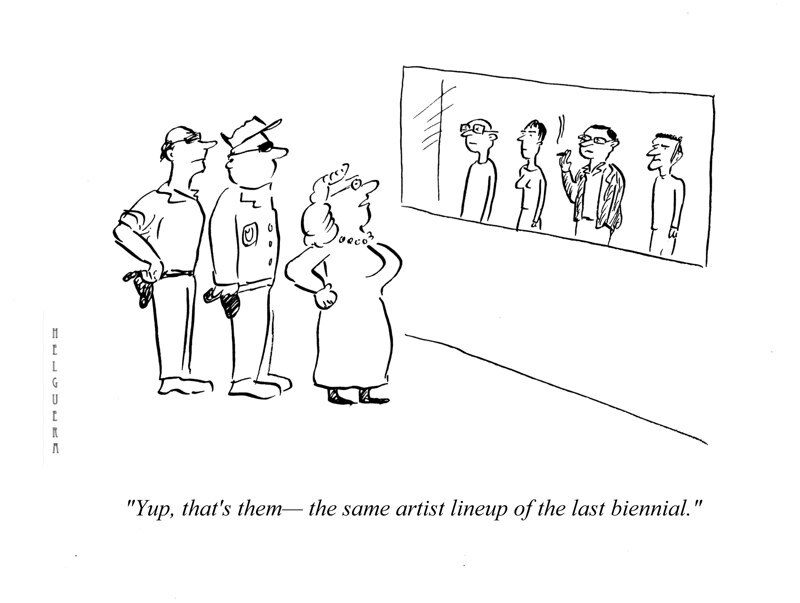 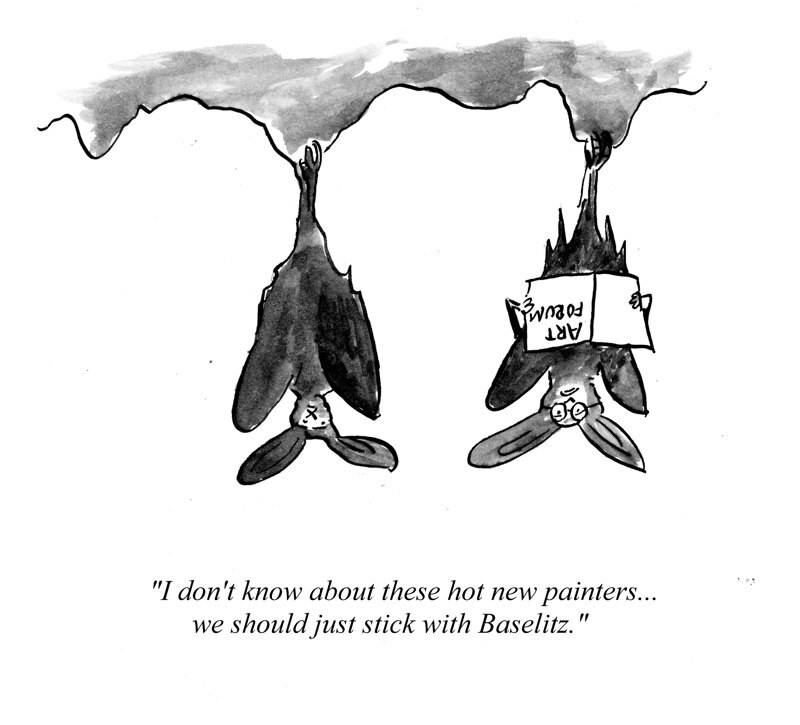 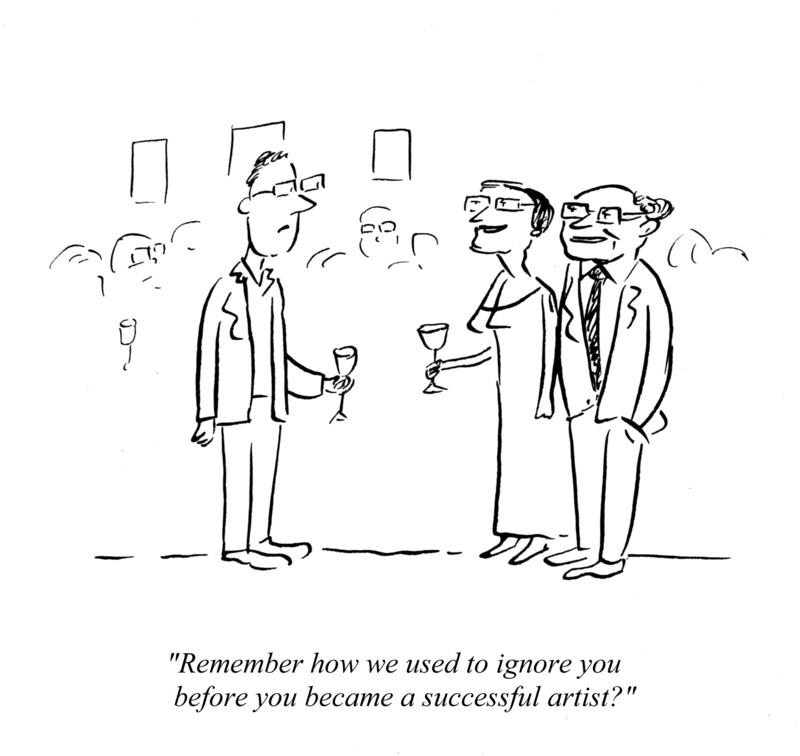 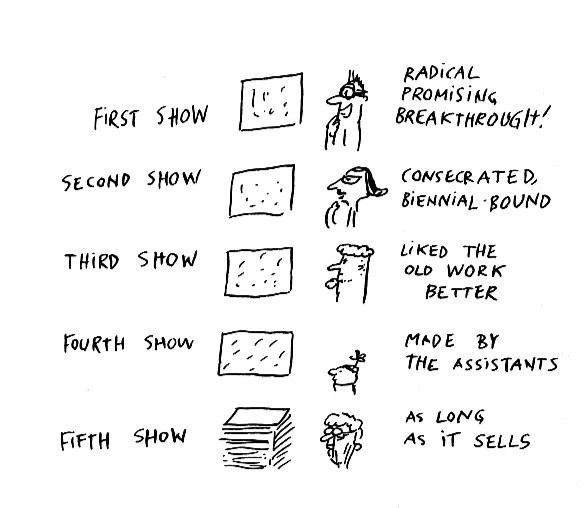 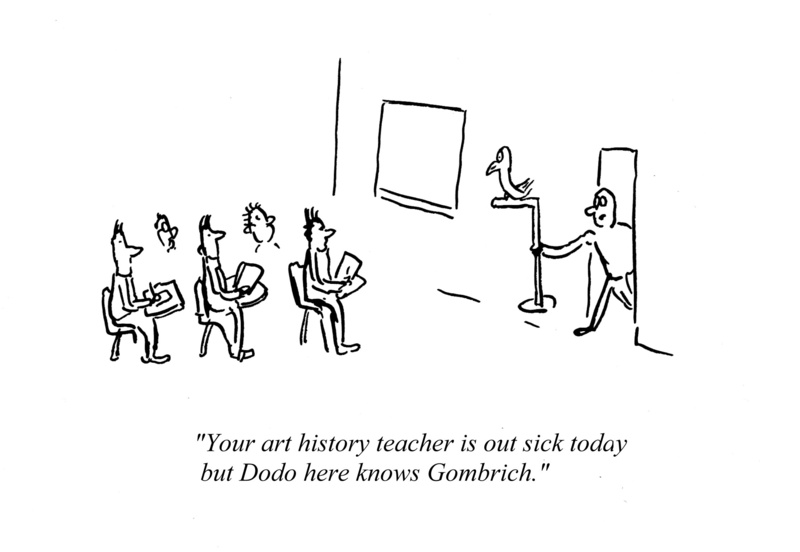 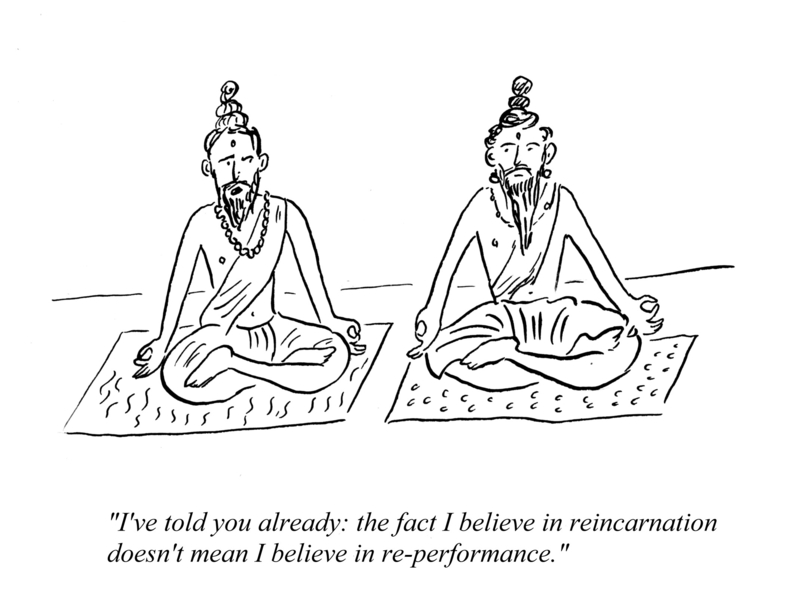 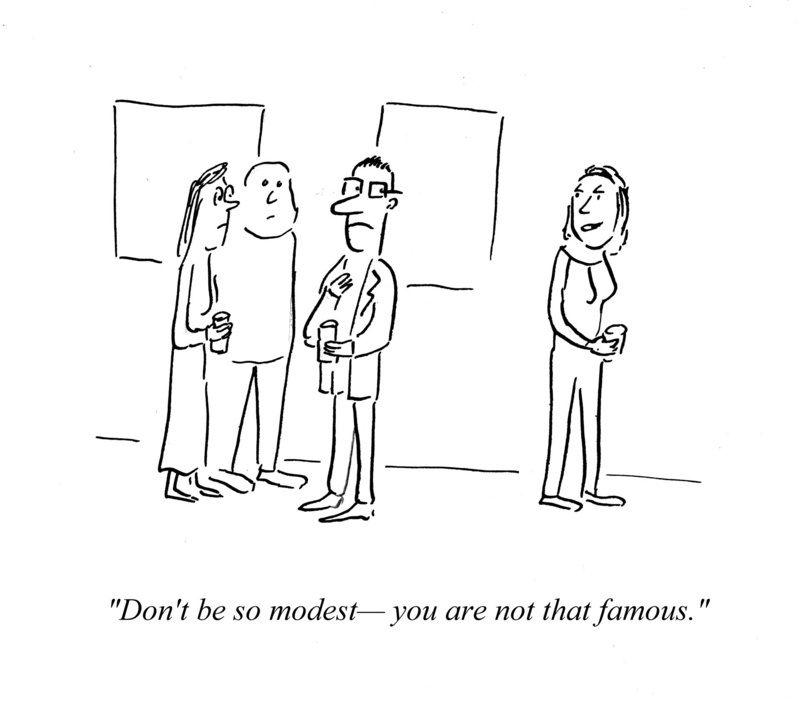 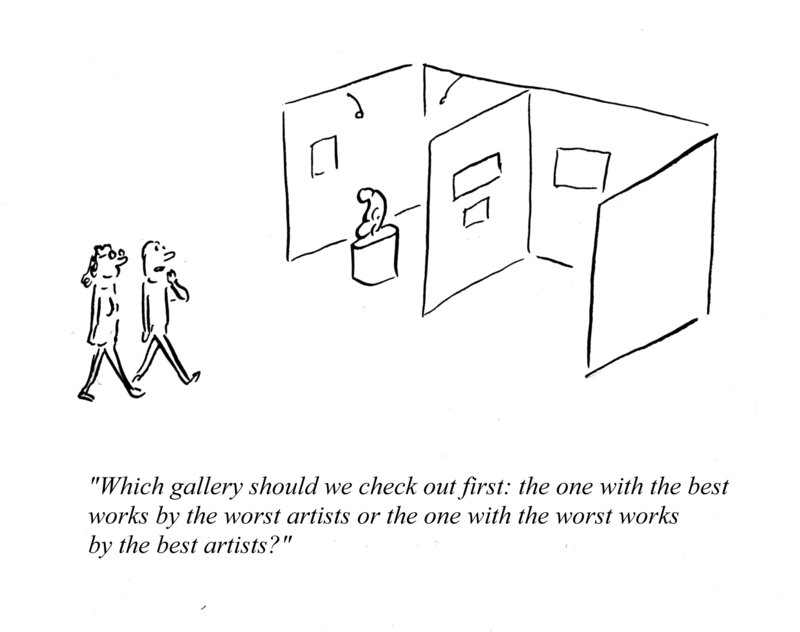 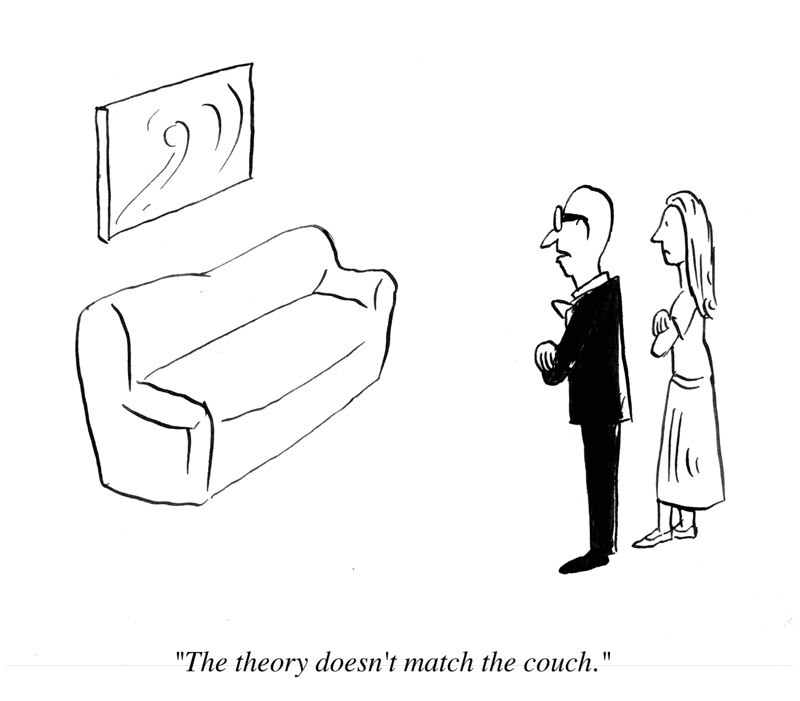 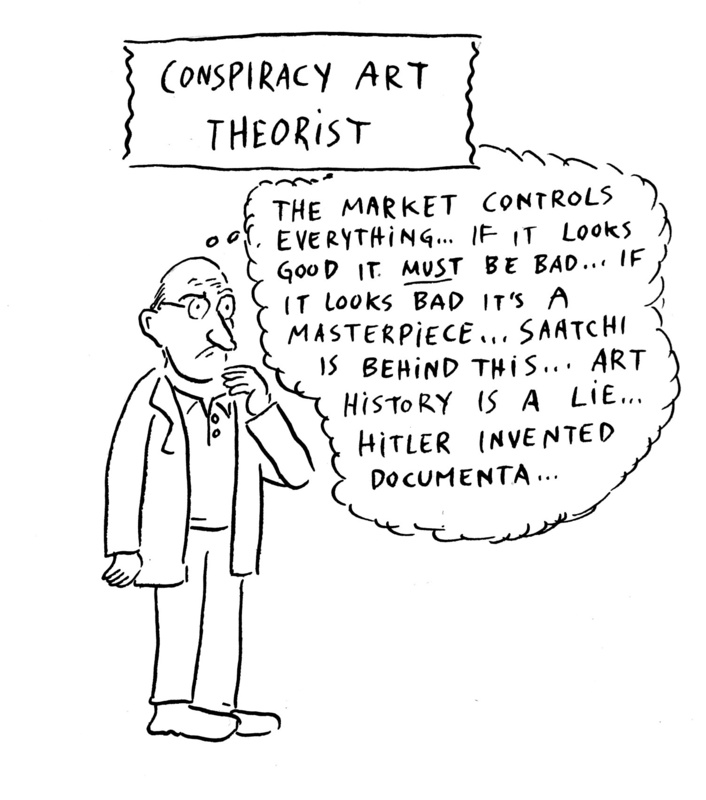 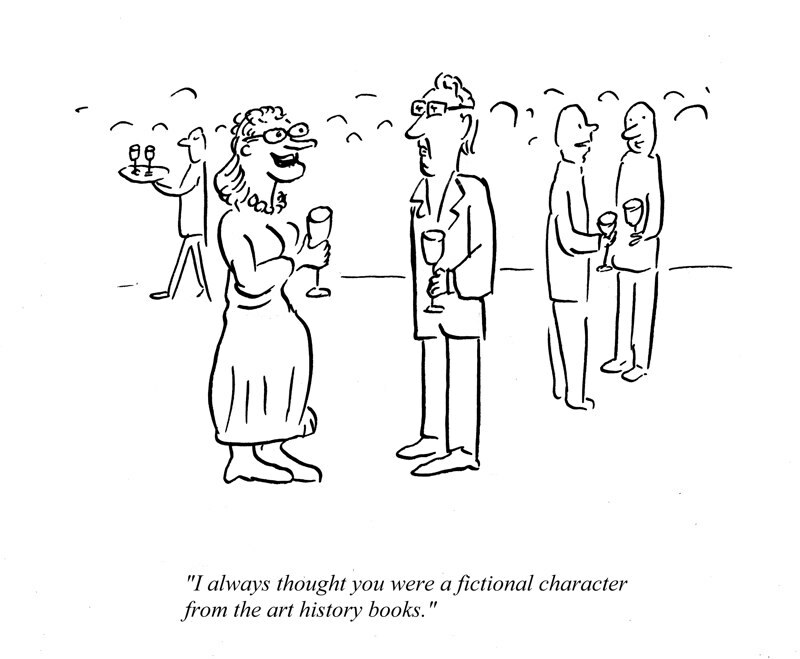 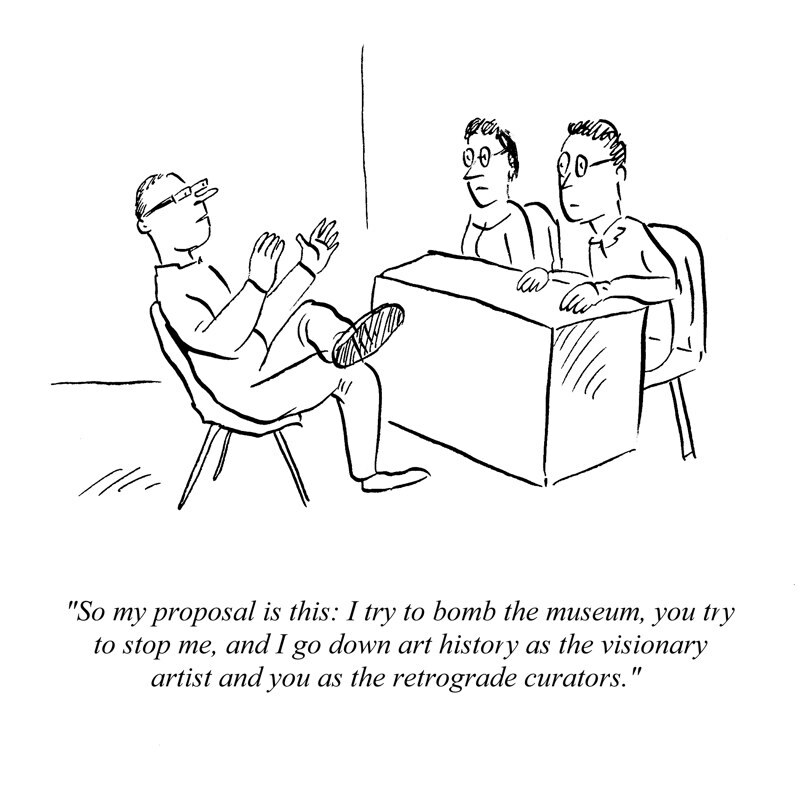 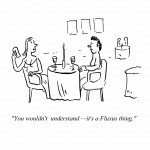 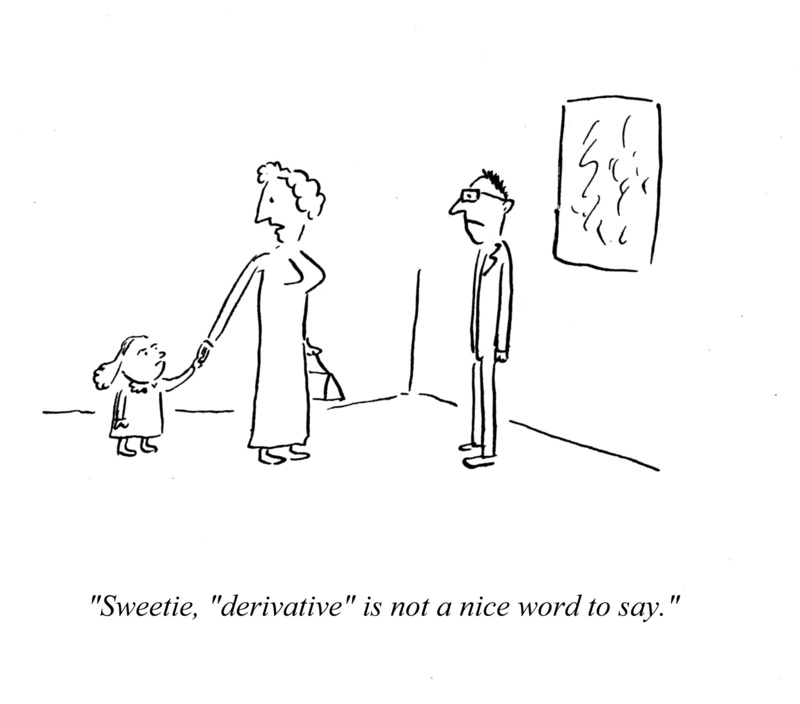 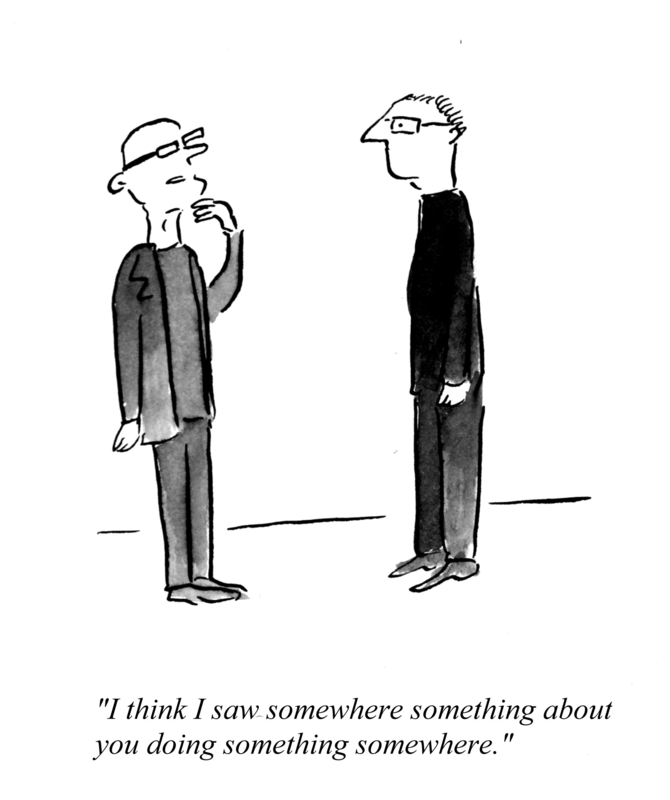 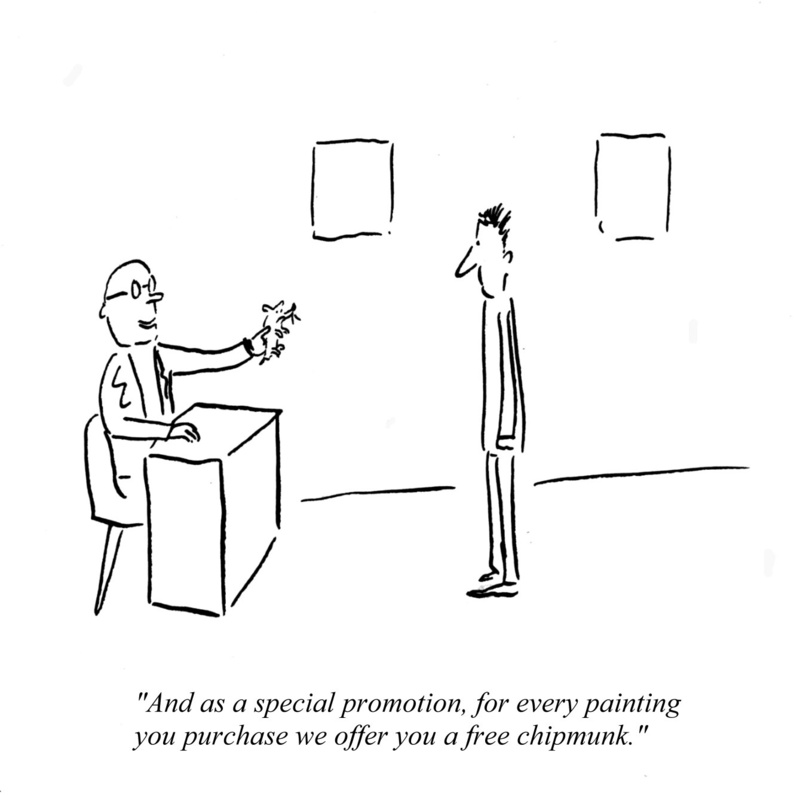 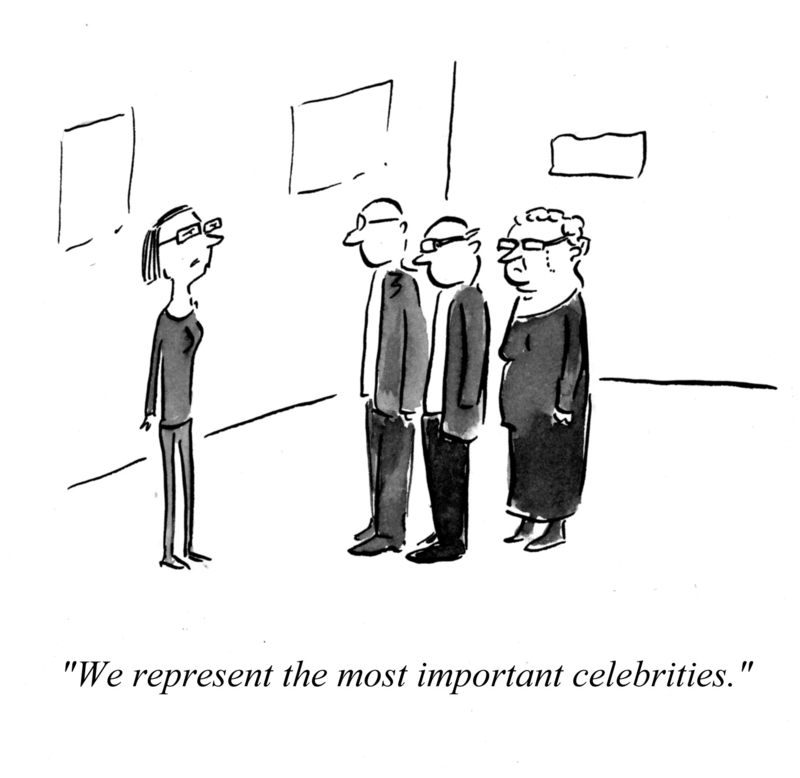 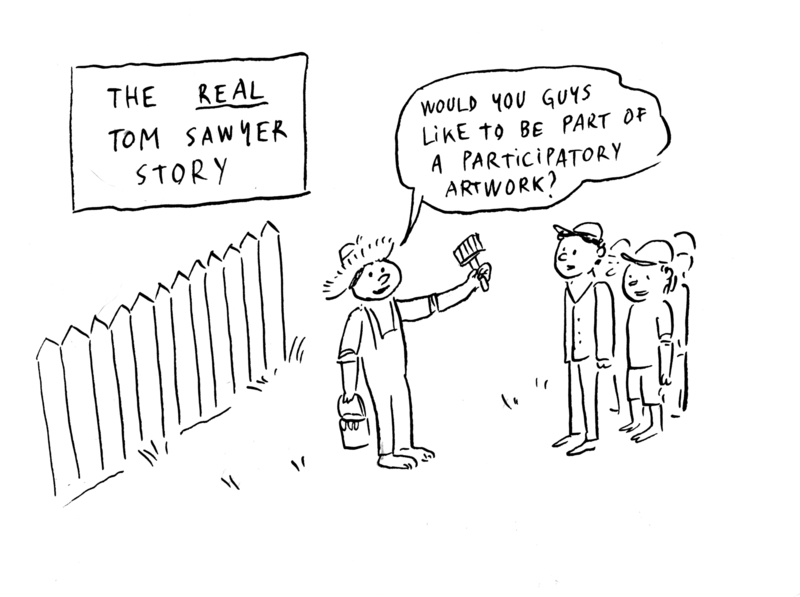 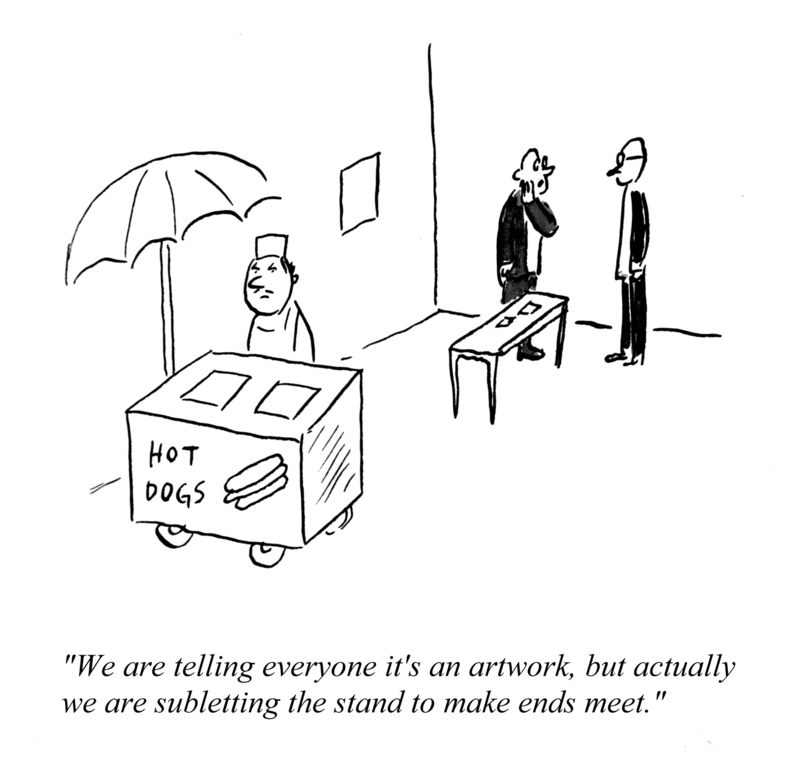 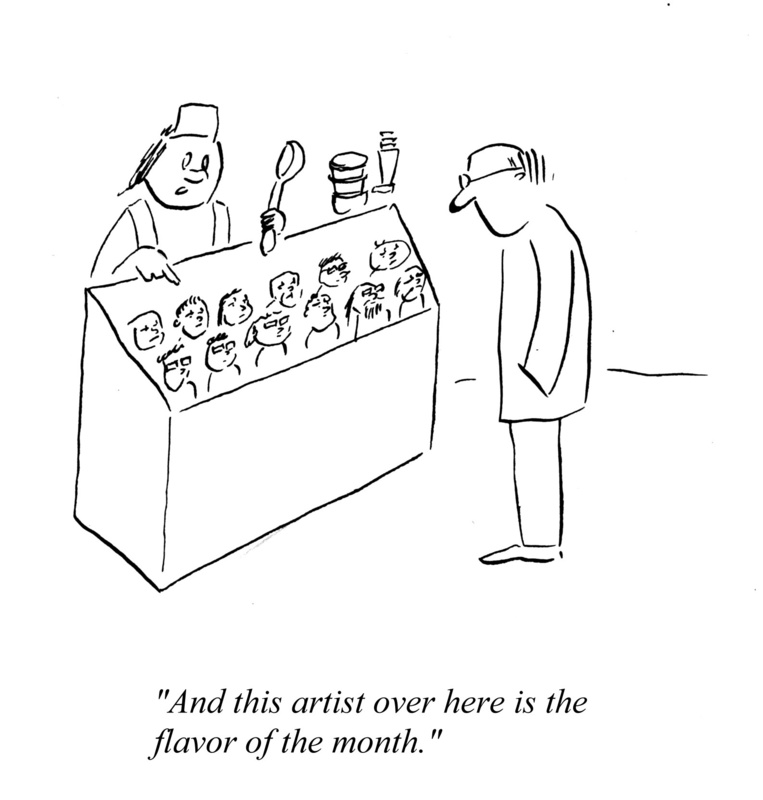 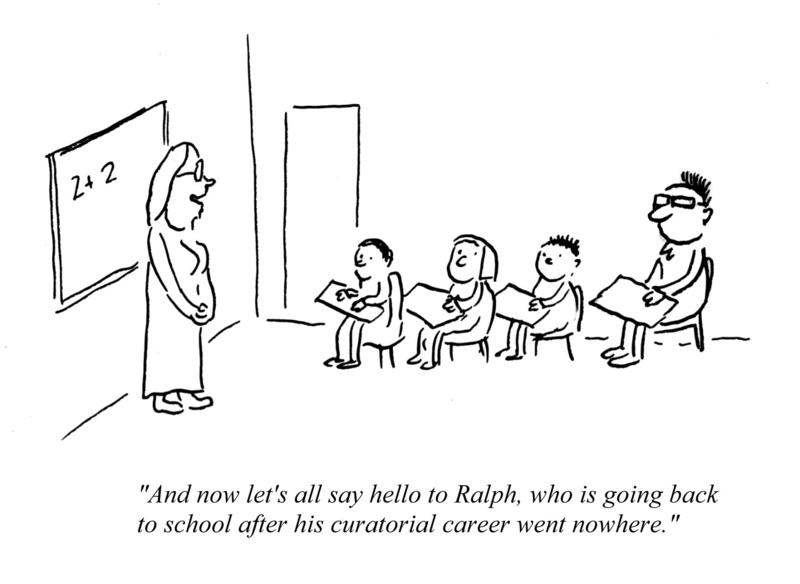 Artoons is a series of books of cartoons about the artworld (Volume I – January 2009; Volume II- October 2009). 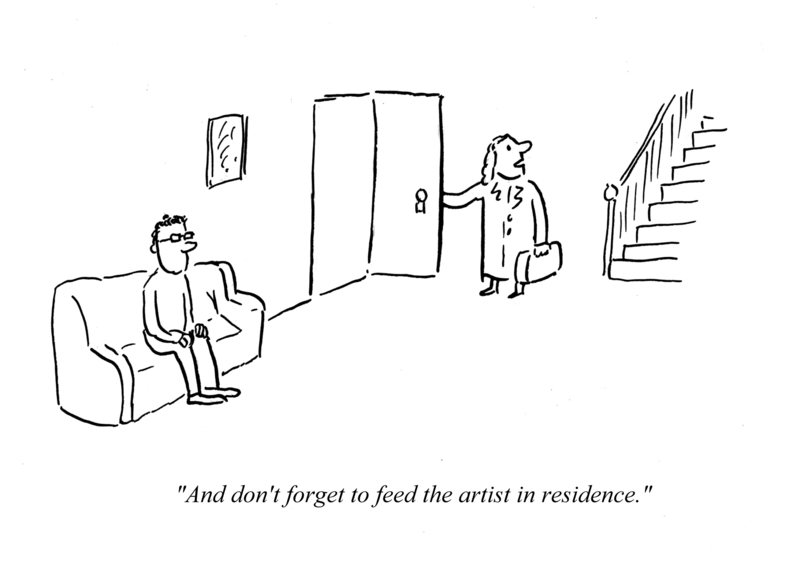 The cartoons have been published in many art publications internationally from Ireland to Brazil and new ones continue to appear on a regular basis in a number of web and print publications. 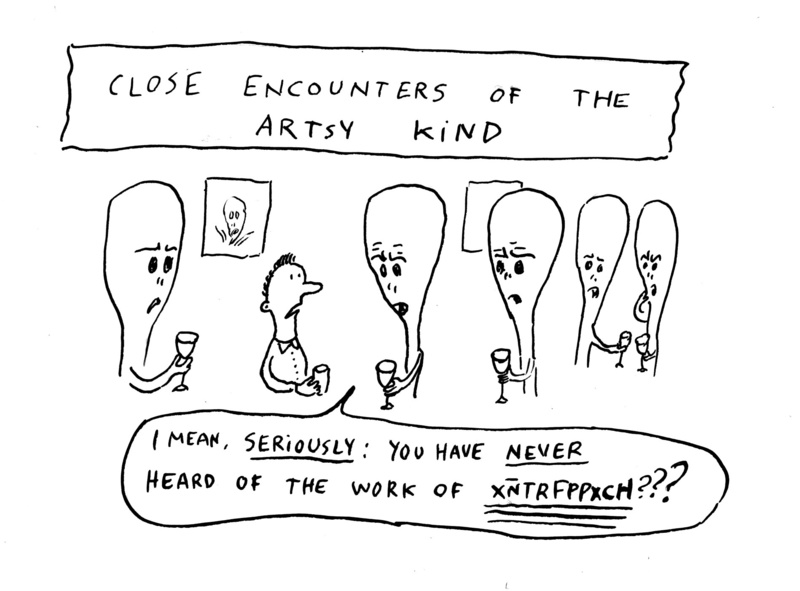 They were first developed for Artworldsalon.com, where they continue to appear on a regular basis. 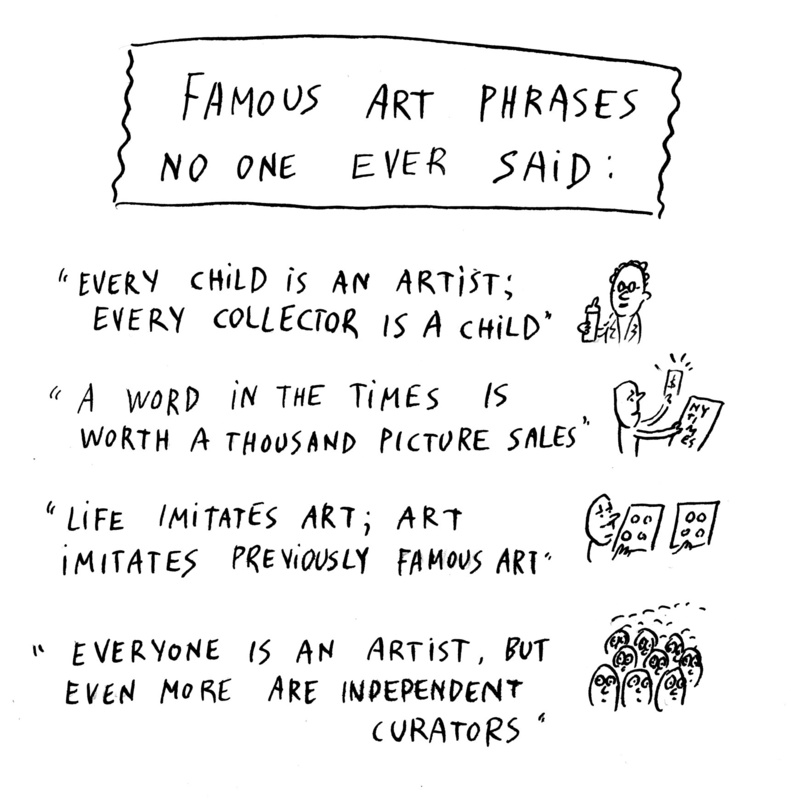 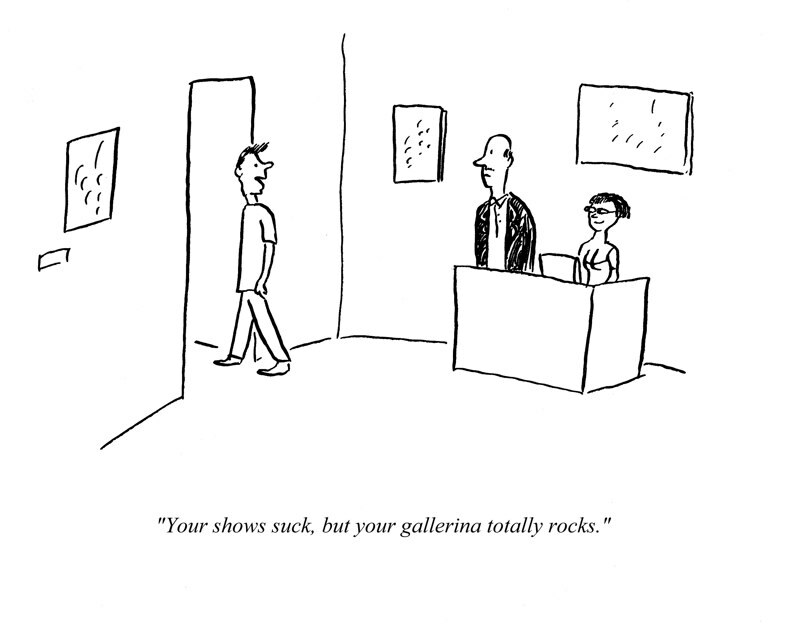 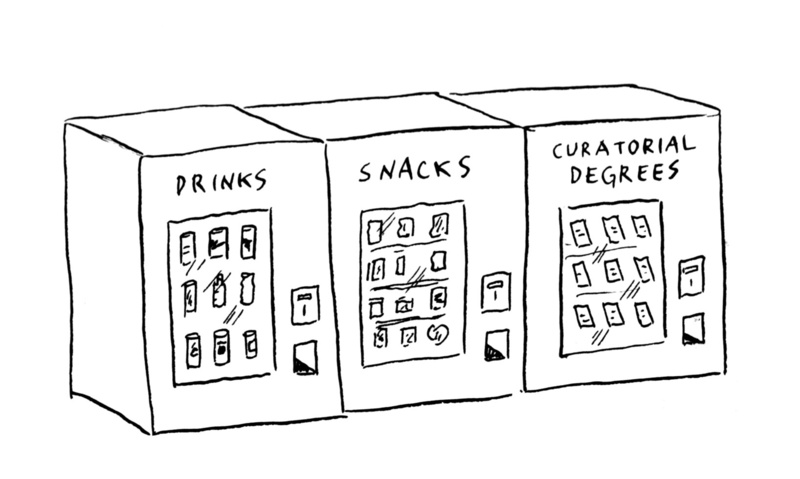 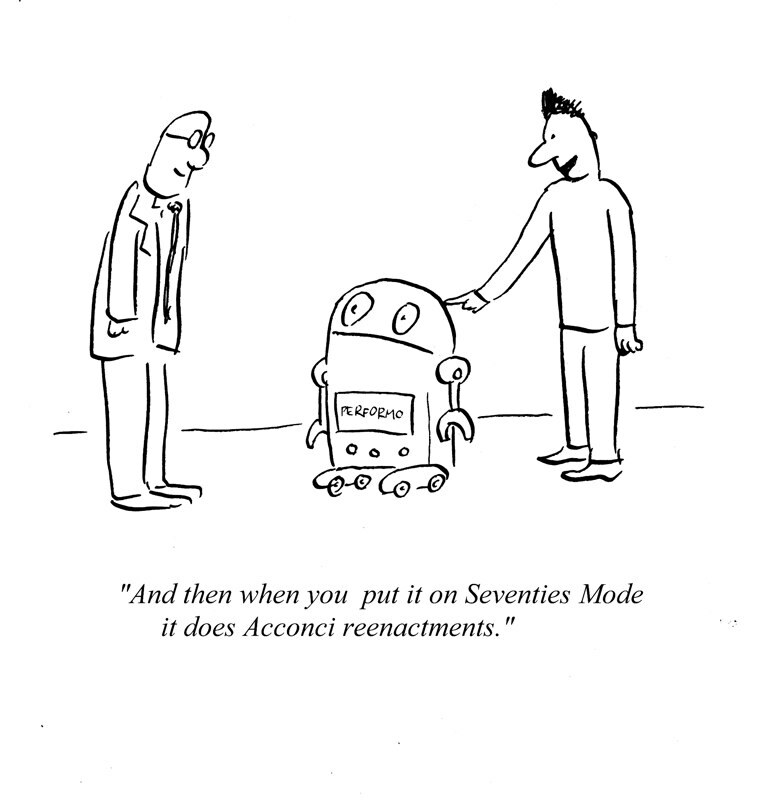 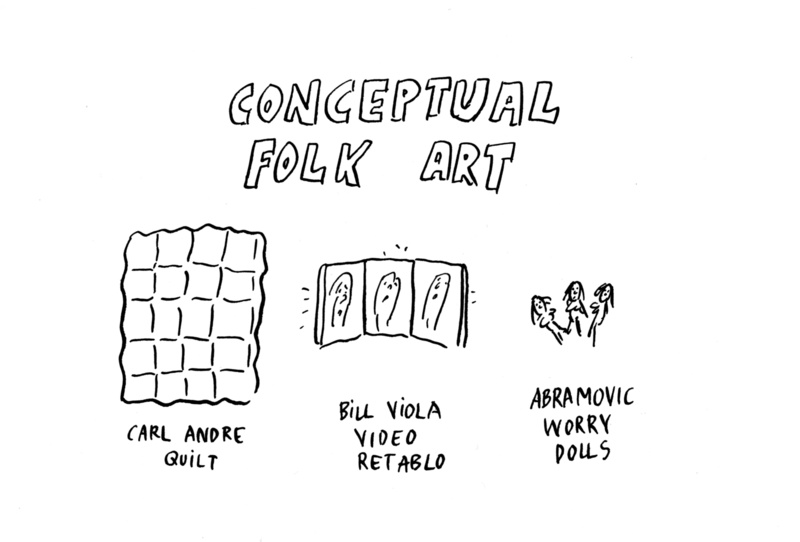 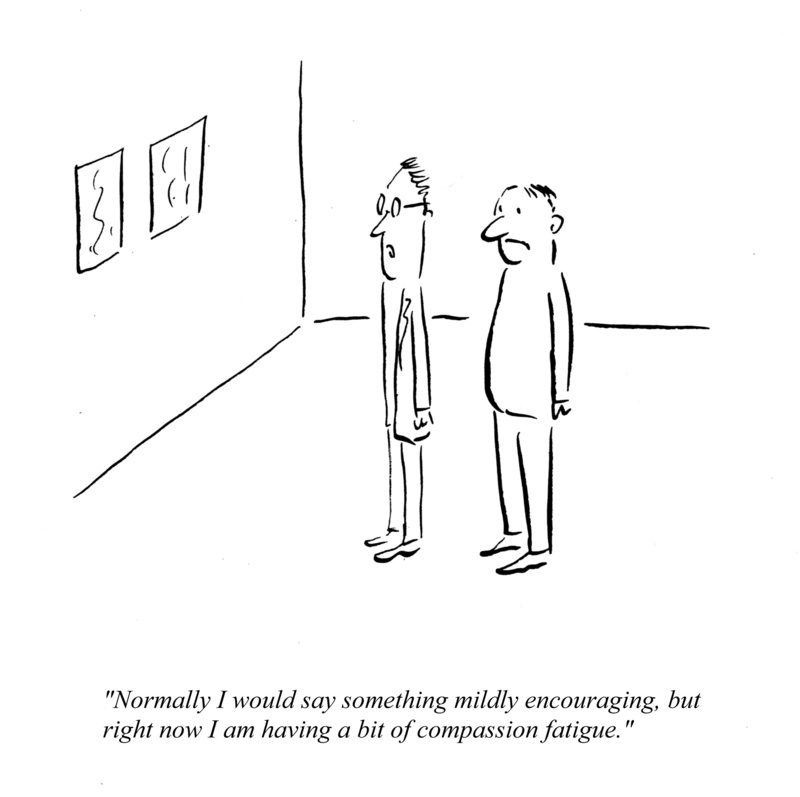 I’m nor sure this new volume of Artoons, which makes fun of us, along with those other characters—“the annoying museum visitor or the mediocre artist or the wannabe collector or theorist”—will contribute in any way to making sense of this Art World that, as Barry Schwabsky once said, “doesn’t know whether it is a subculture pretending to be a culture or a culture pretending to be a subculture.” But I’m sure that the combination of knowing satire and romantic enthusiasm that Helguera offers to test not only his integrity as an artist but our own limitations, will help those who are ready to enjoy our caricatures. 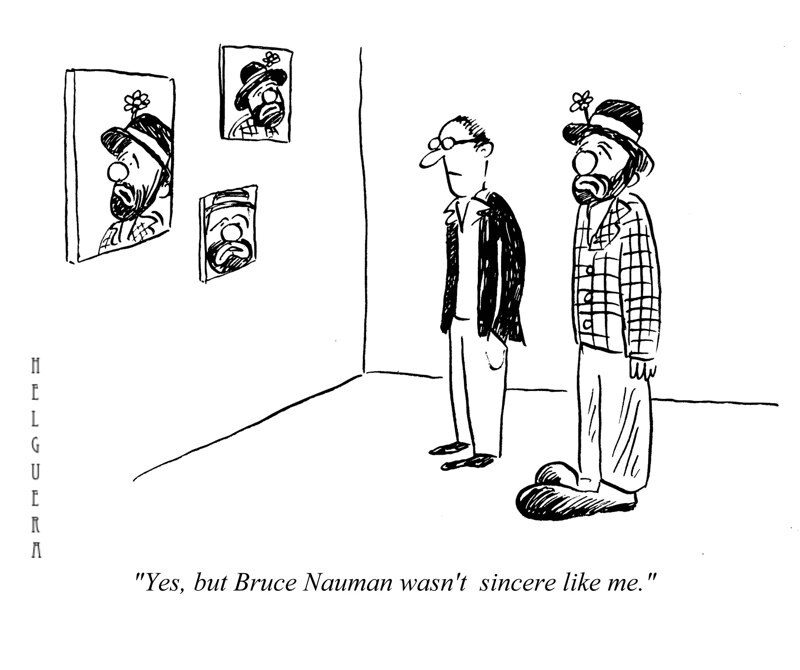 Someone whose name escapes me once said that, beyond the tragic and the ironic, humor is the art of surfaces, of doubles and displacements, where significations, heights, and depths are suspended. 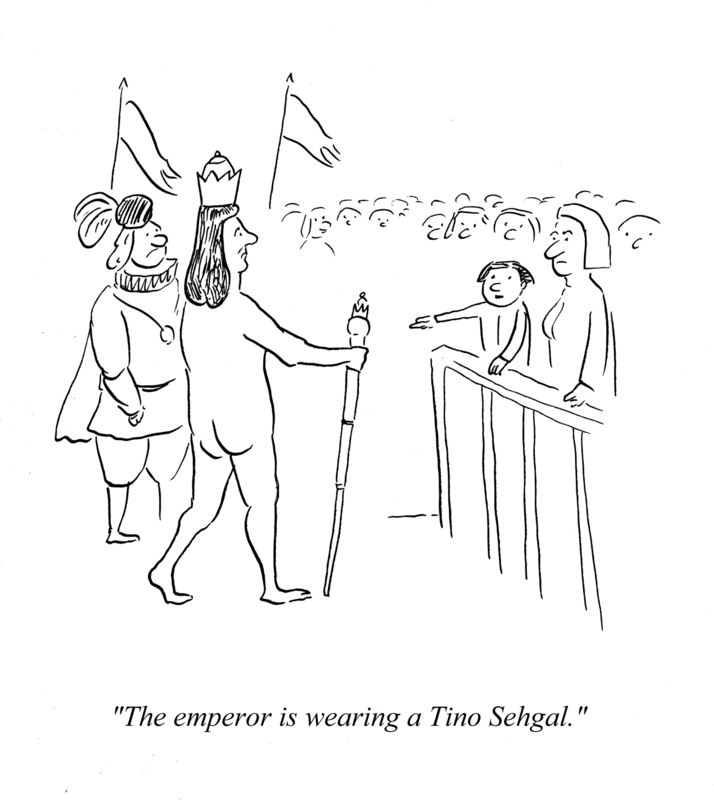 Helguera’s humor leads us to the surface of things, where sense is produced, in the magic instance of our laugh, by the nonsense of the superficial. 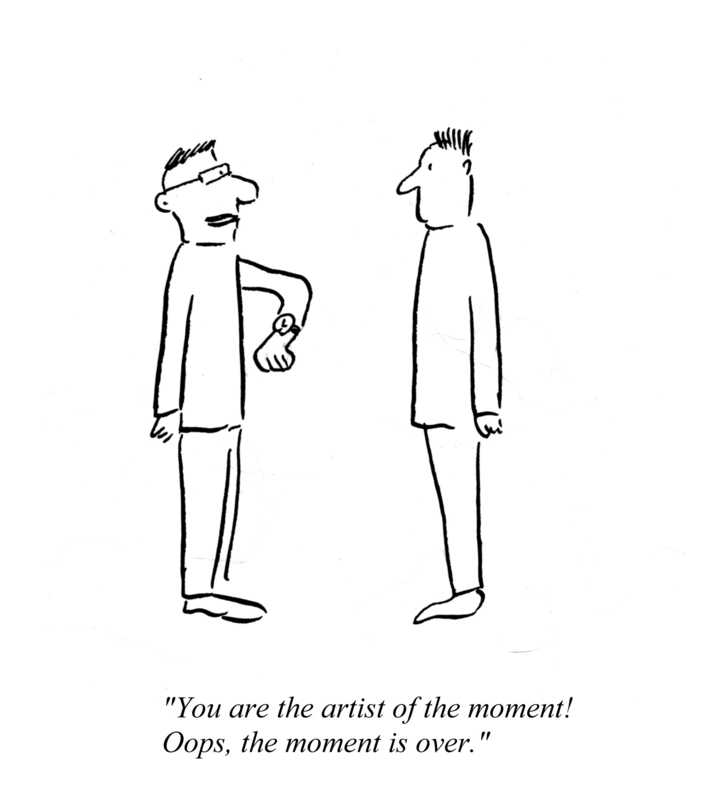 That instant of the pure sense is what Helguera has been searching for in his performances, as he has moved and continues to move.